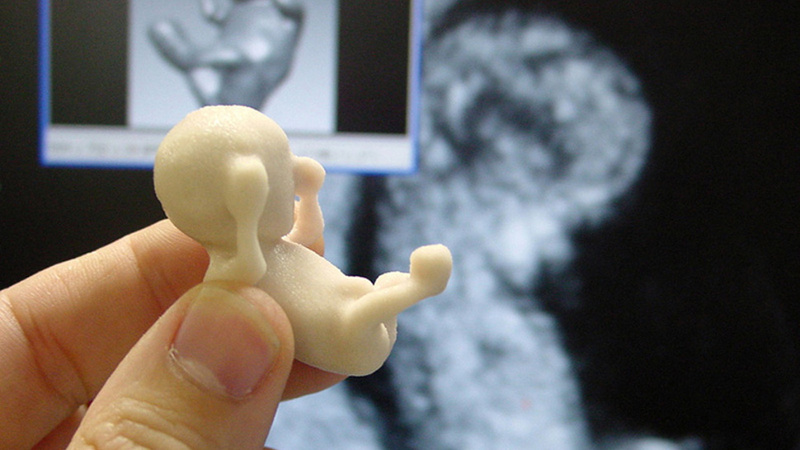 3D printed fetuses: picturing the real? | Abler. After io9 posted this story about 3D printed sonogram technologies, allowing prospective parents who are blind or have low vision to experience their developing fetus, I got to talking with Aimi Hamraie, assistant professor of Medicine, Health, & Society at Vanderbilt University, about all the interesting questions this practice might raise. The article lists both the 3D printed version’s alternative to visual sonograms and its capacity to model out abnormalities as twin goods brought about by the technique. But this material artifact points to plenty of political questions, too—some old, some new. Tecnologia Humana designs the models with sophisticated programs that produce highly detailed simulations of a fetus’ anatomy that doctors can examine virtually. They can swoop through the lungs and explore the cavities of the heart in search of problems that may require intervention. Prior journeys have found Down syndrome and cleft lip, dos Santos said in a recent paper. This idea of imaging a supposed defect or malformation is not new, of course, and very much related to things like prenatal genetic testing for congenital disabilities. What is interesting, though, is the persuasive force of such images as predictions of future embodiment. I am reminded of a presentation I attended by Catherine Mills a few years ago at the Duke Feminist Theory Workshop about the role of 3D ultrasounds and fetal imaging in anti-abortion activism. In that presentation, Mills discussed the way that the technological capacity for imaging a fetus’s face renders it as a living child in such a way that anti-abortion activists can use 3D images as “evidence” of the fetus’s personhood status. It’s interesting to think about what general kind of material “evidence” a plastic 3D model of a fetus can be, given that a fetus is already a strange materiality or precarious embodiment. In other words, what kind of knowledge about a potential body does a plastic object provide, as compared to other forms of material evidence, such as genetic material? How does the availability of a material object that shows potential supposed anomalies or malformations affect the way that doctors and others can make claims about disabled lives as not worth living? Sara Hendren: The Mills argument makes sense, of course; I imagine that political tactic among anti-abortion groups is fairly universal, especially since advances in imaging are appearing all the time. And yes, from a disability rights perspective, it’s interesting to think about a plastic 3D model as a stand-in, or a supplement, to genetic testing. We’re living in an era in which personal genomics has become more pervasive and affordable, and one in which the claims for genetic markings are commonly being taken as concrete explanations of our natures—our ancestry or ethnic background, for instance. But just as these genetic outputs as markers of ethnic, cultural, or racial identity are arguably dubious, so too are genetic “diagnoses” about identity speculative at best—not least among chromosomal mutations like that of Down syndrome. A 3D model of a fetus with Down syndrome would look, in other words, largely like a fetus with a typical body, despite extra genetic materials on its every cell. What would it mean to have this embodied “normal” body in front of you, alongside the genetic information? After all, that extra 21st chromosome has unilaterally been marked a “syndrome,” with its overtones of pervasive, encompassing debility, even though there’s no direct etiology of disease associated with it. AH: Yes, that’s a really good point about the limitations of medical imaging in showing certain traits. I suppose that in the case of Down syndrome, 3D models would avoid some of the potentially eugenic pitfalls of genetic testing by not providing that information. I’m reminded of my own work on anthropometry in architecture and design, in which I’ve found that there is often a discrepancy between the type of evidence or information a visual representation of the body provides and the actual measurements underlying those representations. All of that said, using models as haptic and spatial technologies for conveying information to people who can’t access images is also extremely important. 3D haptic models are used in museums, for instance, to convey information to folks with low vision, as well as to anyone who benefits from touching and spatially understanding phenomena. 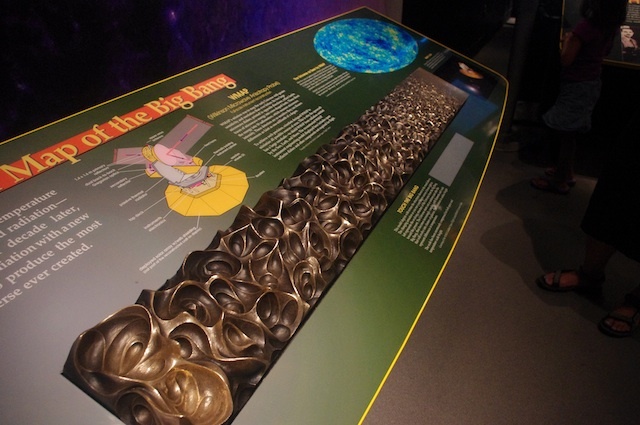 My favorite example, which you can read about in a blog post I wrote for the Smithsonian’s Lemelson Center last summer, is a tactile model of the Big Bang that actually shows the expansion and contraction of matter over time. 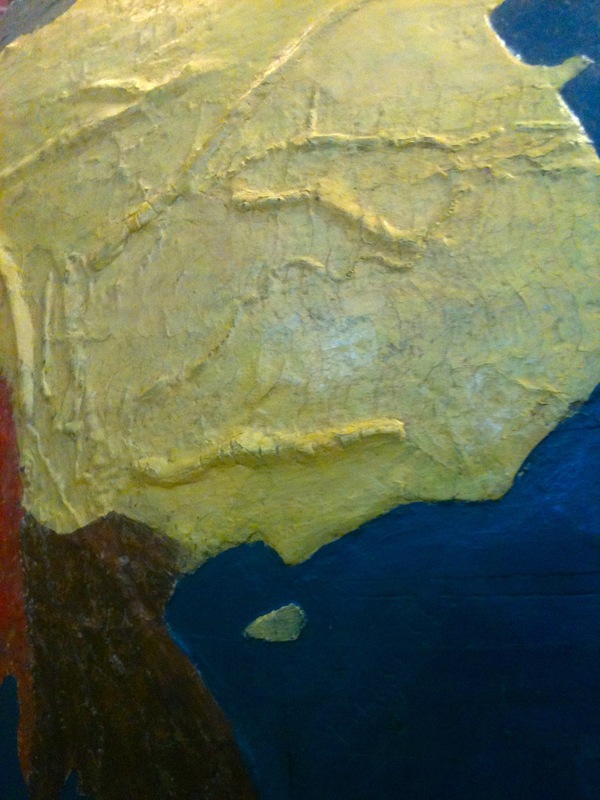 On the side of the image furthest from the viewer in this photo, the Big Bang begins and the bronze on the panel is relatively smooth, with small dimples and bubbles. As it moves to the left, the bubbles grow larger and more complex, demonstrating the way that matter in the universe became more complex over time. By feeling the contours of the model, as well as looking at its appearance, we get a very interesting story about material changes as the universe expanded. (There are a few other examples of the use of 3D models in museum design in that post, as well). 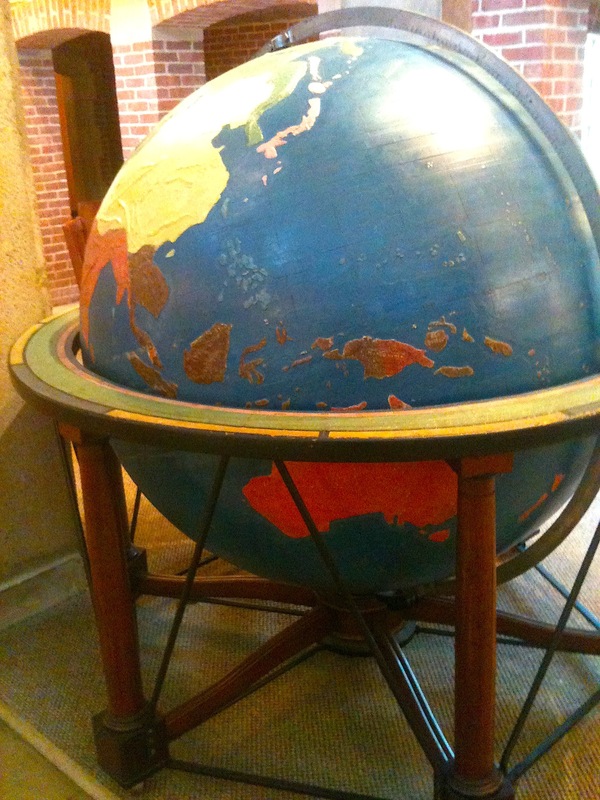 The globe is really big to make its scale work right, and it strikes me, every time I see it, what you might learn about the relationships, size- and distance-wise, from approaching that massive thing as opposed to the tidy, desk-friendly globes I grew up with. AH: Getting back to the 3D sonograms, these also make me think about the material culture of parenthood, and how these models have both diagnostic and aesthetic purposes. What becomes of the cultural importance of the first moment of “holding” a baby? Can printed plastic simulate weight and texture, as well as just general shape? SH: What’s interesting, here, is that routine, non-medically indicated sonograms are actually not tied to better outcomes for mother or baby after 24 weeks gestation. Despite that fact, many parents-to-be opt for many ultrasounds over the course of a pregnancy, some of them for the high-def 3D ultrasounds, for a collection of close-up views. (It’s good to note that no work has been done on potential effects on the developing fetus from the use of these technologies, and it’s a culturally very recent phenomenon to “see” a fetus at such frequency at all.) It makes me wonder whether this material product is rather more or less reliable by comparison. And your questions about the affective qualities of holding these artifacts—who knows? AH: I know a little bit about emerging, inexpensive 3D printers, like the RepRap, which prints its own components. I also understand that part of what dos Santos is doing is making it possible to translate 3D images into printable files. I wonder what increased access and availability of 3D printing will do to the way that we document life, bodies, and people. What new cultures of display will emerge from the availability of 3D sonograms and ultrasounds? Do you keep all of the models and show them to your child later to explain the process of development? Do you pass them around the table at your baby shower? Use them as cake toppers? Baby dolls? More at i09. Images 1, 2 from i09, the rest from Hamraie, Hendren.